Thaw shrimp if frozen and pat dry. Mix together all the ingredients except the bacon. Marinate shrimp in mixture for at least 2 hours in the refrigerator. 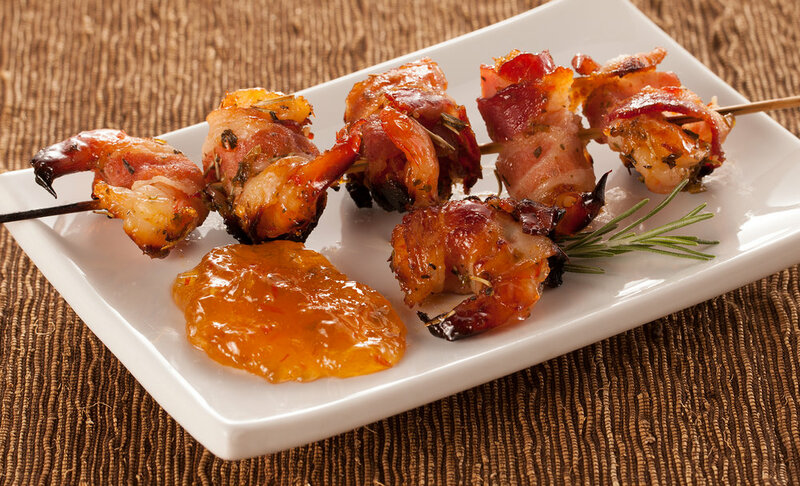 Wrap each shrimp with bacon and put on skewers. Remember to soak skewers for 20 minutes before grilling so the shrimp slides off easily. Grill or broil turning a few times. Shrimp will be pink anad slightly curled when done and the bacon should be crisp and a bit charred. This marinade can also be used with chicken. This is a crowd pleaser for sure!